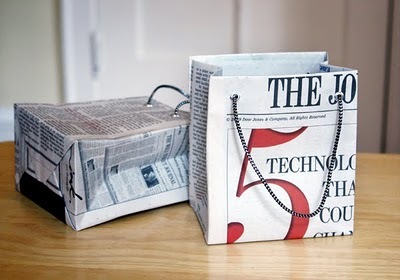 Right along the same lines as the paper plate berry basket is this fun newspaper gift bag from Feeling Crafty. You can use anything from the sports page or the comics to create just the right gift bag for anyone. Check out the instructions on creating your own newspaper gift bag HERE. Hey there! Thanks for posting such great ideas. Great idea, recycling for the win!